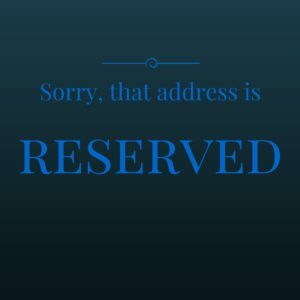 Does the system use any reserved internal address ranges? Some chassis-based systems reserve private IP address ranges for inter-card communication. This is a perfectly fine setup as long as you, the network integrator, know what ranges are in use. However, you’ll have a frustrating case of ‘disappearing packets’, if you’re not aware that these ranges are in use. I first saw this issue on an IXIA XM12 chassis a few years back. As I later discovered, each line card received a /24 from an RFC1918 address range. The supervisor used an IP address in each range to communicate with each line card. When I used a conflicting range in my testing the chassis would swallow my packets, and I was left scratching my head until I figured this out. I thought this was a one-off, but I hit it again recently on an Ericsson Call Control Node. Same problem, but a little easier to detect this time. Nevertheless, I’ve been stung twice now on this issue, so I’ve added to my checklist and brought it to your attention. If an appliance uses a reserved internal IP address range, the vendor has preallocated your address space to their node. This is a little cheeky in my view, but you still need to ask about this in the planning phase. If you discover the requirement early enough, you may be able to direct the address allocation to a non-conflicting range. Good call, I’ve seen this on the IBM Pure Data appliances too. Great point Tommy, thanks for the feedback, I’ll add it to the list.